Our favorite guilty pleasure doughnut chain has come out with a holiday treat. 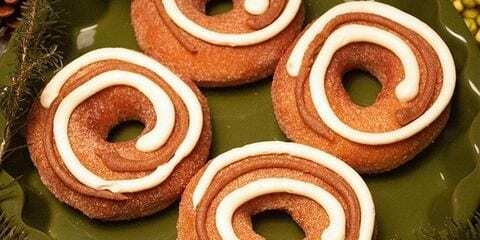 This week they released Cinnamon Swirl Doughnuts in honor of Thanksgiving, and that is not all. Some of their delicious holiday treats are making a comeback. Krispy Kreme has taken one of its classic doughnuts and tossed them in cinnamon sugar to make these Cinnamon Swirl Doughnuts. Each of these sweet delights is topped with swirls of cream cheese and cinnamon icing. Apparently, they are quite similar to the apple cider doughnut that already exists in the chain. The texture is not as moist as you may expect, the but icing components stop them from being dry. If cinnamon isn’t your to go spice, then don’t worry, because this is not the only dessert that Krispy Kreme is welcoming this season. The chain is also releasing other holiday doughnuts just in time for the festive season. 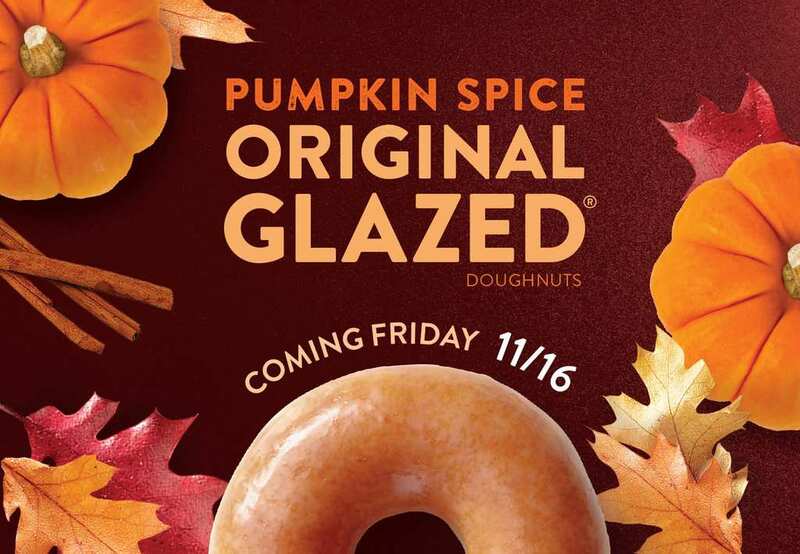 On Friday, November 16, the Krispy Kreme Pumpkin Spice Original Glazed Doughnut will be making a comeback. The Pumpkin Spiced Doughnuts will be available through Thanksgiving so for those hosting dinner, feel rest assured that you will not need to bake this year. They have not stopped there. If you feel like stuffing in the calories before the New Year’s resolution kicks in, then Krispy Kreme is the place to go. They are offering customers the opportunity to celebrate the upcoming winter holidays in style. Now through to December 24, participating locations will be selling their holiday classics such as Santa Belly Doughnuts, Holiday Plaid Doughnuts, and Chocolate Iced With Sprinkles Doughnuts. If that hasn’t got your taste buds tickling, then listen to this! These doughnuts are dipped in green icing, sprinkled with confetti, and decorated with reindeer and penguin candy pieces, which mimic an embarrassing holiday sweater. 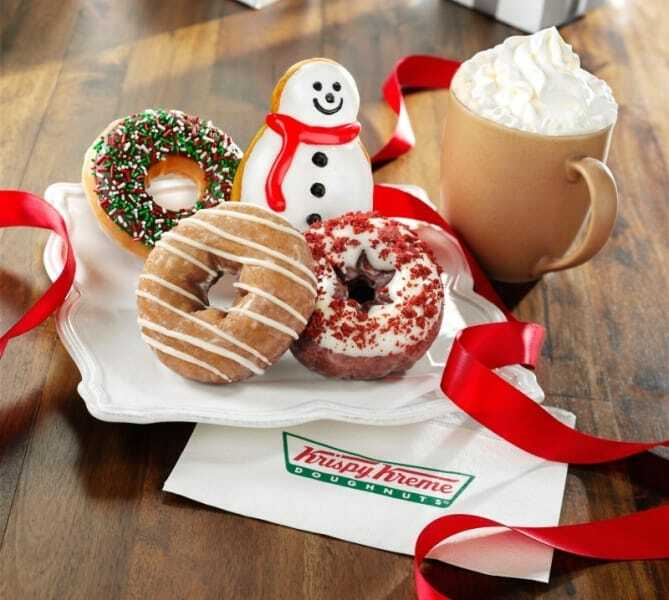 We think it is safe to say Krispy Kreme is in the lead for holiday desserts this season.